Landscape lighting can extend the length of time spent outdoors once the sun goes down. This is, perhaps, one of its main selling points. It can also bring safety benefits to a property. 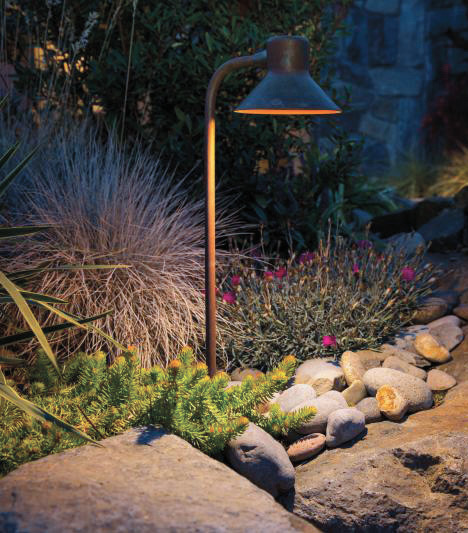 “When strategically placed, path lights not only illuminate paths and walkways, but also light planting bed borders,” says Rick Baird, national sales manager, landscape division, Vista Professional Outdoor Lighting, a manufacturer headquartered in Simi Valley, Calif. 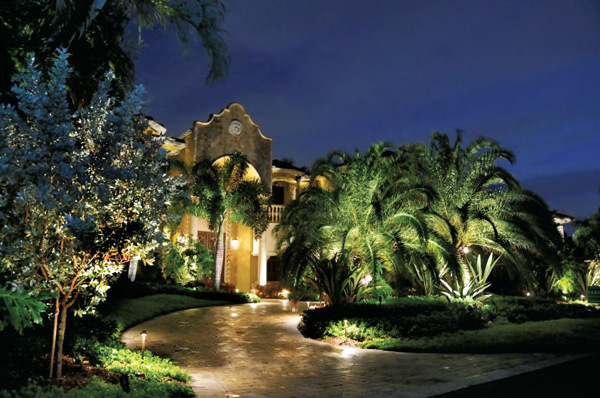 There are several types of landscape lighting, but illuminating walkways is one of the most popular applications. Ryan Williams, senior marketing manager for FX Luminaire, a San Marcos, Calif.-based manufacturer, says path lights are the company’s second-most popular style category after up lights. Despite their popularity and safety benefits, Williams recommends installers avoid overusing path lights. “Optimal pathway lighting can be achieved by installing up lights and down lights in close proximity to pathways,” he says. Down lights can be installed in trees and on nearby structures to contribute to effective path lighting, according to Baird. In commercial spaces, it’s important to get lights off the ground to eliminate damage from increased foot traffic and potential vandalism. He recommends lighting designers take a walk along a path, including any steps, to identify obstacles, such as intersecting paths or elevation changes. When installing wall and step fixtures, Williams recommends that contractors pay close attention to the wiring and keep in mind safety, aesthetics and future servicing. As with anything in the landscape industry, maintenance is key. Follow this checklist, provided by Rick Baird, national sales manager, landscape division, Vista Professional Outdoor Lighting, to keep a property’s lighting fixture setup in peak condition. Finish – The fixture may need to be wiped clean periodically to remove water spots or chemical stains. Lens – The lens of each fixture will need to be polished with a water-repellent applied. Angle/aiming – Determine each fixture’s original purpose and make sure it’s aimed and standing correctly to illuminate its intended space. Space maintenance – Check the surrounding landscape for plant material, ground cover, shrubs and trees that may need to be trimmed for optimum light output and performance.